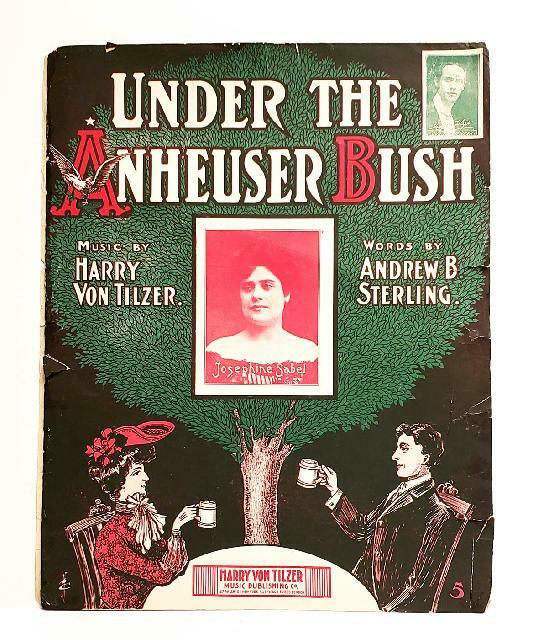 Rare 'Under the Anheuser Bush' Sheet Music. 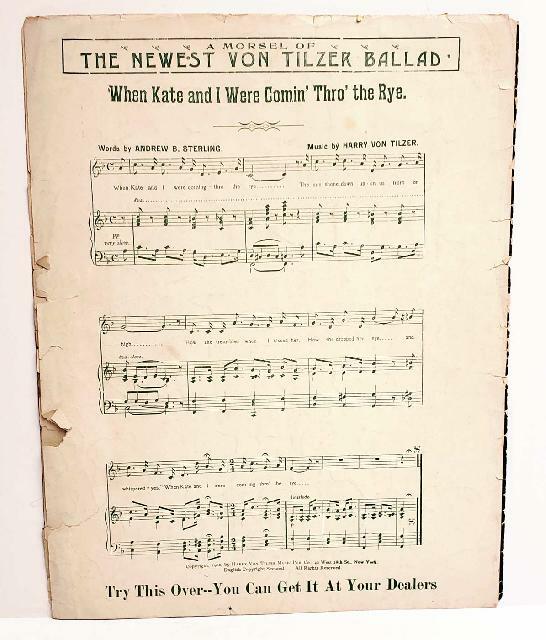 1903 five page sheet music, song by Harry Von Tilzer and Andrew Sterling with cameo of Josephine Sabel vaudeville singer and comedian billed as the Queeen of Song. Pages no longer bound, edge wear and tears. Cover graphics are clean with bright color. This item is in a High Impact Rigid Toploading Holder. Condition (Very Good, 8) Size: approx. 10-3/4" x 13-1/2"